B2C landing pages come in two flavors: product-specific e-commerce pages that are part of a large e-commerce website, and stand-alone landing pages designed to sell one item as a result of a specific campaign. In this article we’re going to focus on the latter. 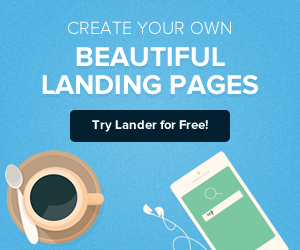 When we think about stand-alone B2C landing pages, we think of the experts who have tested millions and millions of landing pages: the infopreneurs, information marketers and affiliate marketers who sell anything from eBooks to workshops. Close the sale right there and then. If they can’t close the sale, at least enroll the prospect in some type of nurture marketing system. Create a sense of urgency to close the sale now. They often will use a time-based offer with an expiration date. Answer a specific set of questions for prospects. The last bullet is probably the most important goal of a B2C marketer with their landing page. Buyers have a specific psychological process they must go through before buying something. If you don’t follow this process, you won’t sell anything. 1. Do you know my problem? Our brains think “problem/solution,” not “solution.” That’s our lizard brain thinking: always looking for hazards to avoid. 2. What’s your solution? Now that you’ve highlighted my pain, it’s time to relieve my pain with your solution. 3. Do I fit the profile of your ideal customer? Who is your target market? Can you reduce this to one person? Talk to me like you’re talking to a friend you’ve known for a long time. 4. Why should I pay attention to you? Do you know my buying trigger? There are certain words that when combined together will make me pay attention to what you're saying so I can fulfill my needs right now. 5. Can you answer my objections? It's too expensive, it’s too hard, my wife will hate me….can you help me get rid of these objections? 6. Can you show me any testimonials? Who else is using your product? Have they been happy and successful with it? 7. How can you minimize my risk? What if it doesn’t work for me? Can I get my money back, or can you guarantee my success with your product? 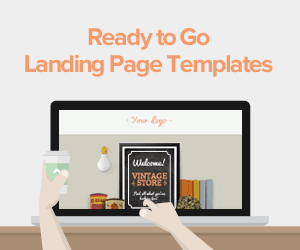 What can your B2C landing page do to answer these questions? 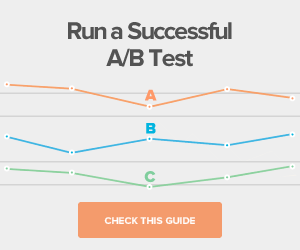 With any landing page, you need to test and test again to see which elements will create the highest conversions (in other words, sales). Create a compelling headline with a problem/solution combination of “trigger” words that will make your prospects salivate and want to learn more. Create a sense of urgency to buy now. Provide an expiration date for your offer…and make it a real expiration date. Provide lots of copy.Some of the most successful landing pages are really long, some measuring almost 19,000 pixels high! Why would anyone want to read so much copy? Because if your prospects are interested in what you’re selling, they will want to see if you target them specifically, that you know their problem, that you have a solution, can answer their objections, can provide testimonials, and can guarantee your offering. See the bullets above about the psychological buying process. Provide lots of bonus offers. Especially if you’re selling a high-priced item, you need to show that the value you provide exceeds the price your prospects are paying. Lots of sub-heads and bullet points. As with B2B landing pages, B2C customers fall into two categories: readers and scanners. Provide lots of sub-heads, bullet points, bold copy, different colored text, and anything else that can stand out when somebody is scanning your page. Your prospects need to know what you’re talking about just by scanning the page. Visuals that emphasize your main points. If you’re selling a physical product, provide lots of nice professional photos of the product. If you’re selling software or an information product, show images of a software packages, or a book cover. Anything to engage your buyer’s visual cortex. Lots of call-to-action buttons. Your goal is to sell, so provide call-to-action buttons near the top of your page, and at various intervals throughout the landing page. Change the positioning too: provide call-to-action buttons on the right margin, and break up your text with a nice button too. Lots of testimonials with pictures. Social proof is one of the most powerful psychological factors when selling a product or service. Your customers don’t want to be the first or the only ones buying from you. Provide lots of testimonials, with the photos of the people who are providing the proof. Sean D’Souza says if you want to make your testimonials more believable have your customers explain how they were hesitant or doubtful to buy from you at first, and then when they started using your product they were surprised about how fantastic it was! Provide a risk reversal. Provide a guarantee, preferably with some type of visual element, such as a seal or icon that has the words “Guarantee” prominently displayed. This is by no means an exhaustive list, but it should help you avoid a lot of painful trial and error. 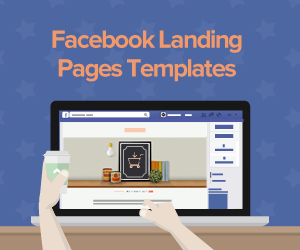 If you have any other good ideas about B2C landing page best practices, please comment in the comments section below. Thanks for reading!